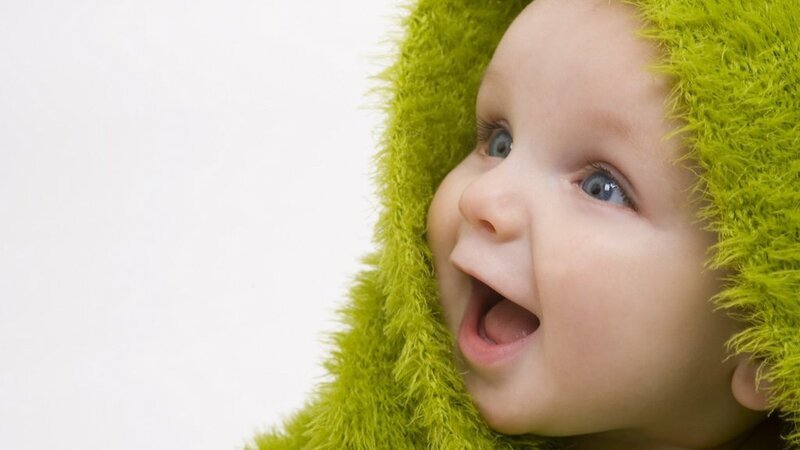 Expressive eyes:A window to the soul? Omayra Sánchez (August 28, 1972 – November 16, 1985) was a 13-year-old girl killed in Armero, Colombia by the 1985 eruption of Nevado del Ruiz. Volcanic debris mixed with ice to form massive lahars (volcanically induced mudslides, landslides, and debris flows), that rushed into the river valleys below the mountain, killing nearly 25,000 people and destroying Armero and 13 other villages. After a lahar demolished her home, Omayra became pinned beneath the debris of her house; she remained trapped in water for three days. Her plight was documented as she descended from calmness into agony. Her courage and dignity touched journalists and relief workers, who put great efforts into comforting her. After 60 hours of struggling, she died, likely due to exposure. Her death highlighted the failure of officials to respond promptly to the threat of the volcano and the efforts of volunteer rescue workers to reach and treat trapped victims despite a dearth of supplies and equipment. 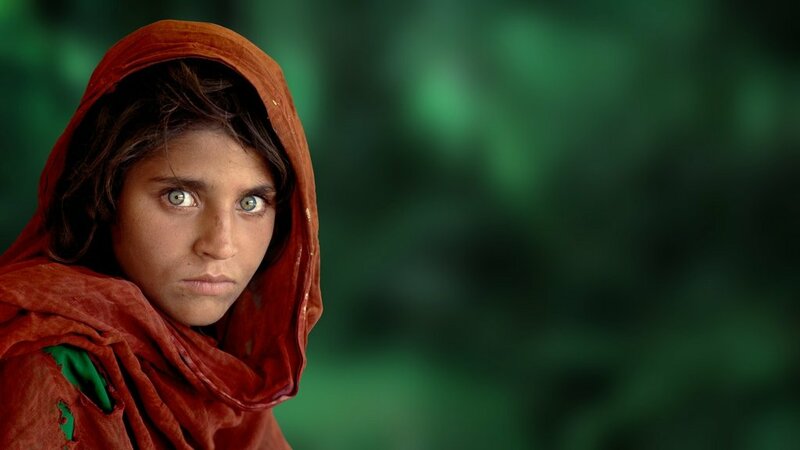 Sharbat Gula was orphaned during the Soviet Union's bombing of Afghanistan and sent to the Nasir Bagh refugee camp in Pakistan in 1984. Her village was attacked by Soviet helicopter gunships sometime in the early 1980s. 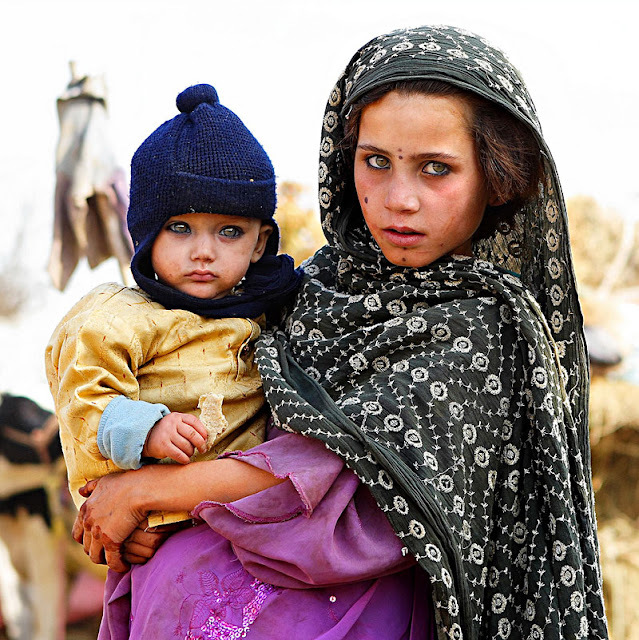 The Soviet strike killed her parents, forcing her, her siblings and grandmother to hike over the mountains to the Nasir Bagh refugee camp in neighboring Pakistan. 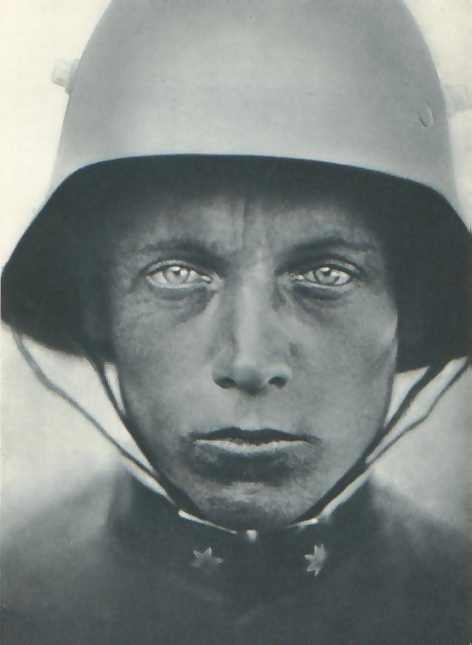 Austrian soldier, taken c. 1918. Taken at the Tuberculosis treatment facility in Islamabad, Pakistan. Tuberculosis contributes to an annual total of 400,000 deaths in children. 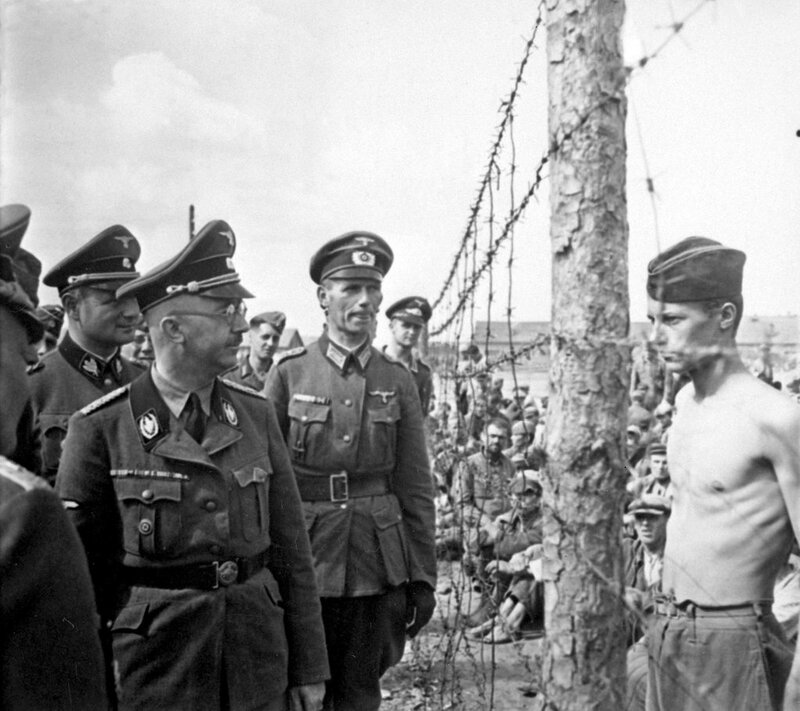 Soviet POW stares down Heinrich Himmler, head of the Gestapo and the Waffen-SS. This man is often confused with Horace Greasley. 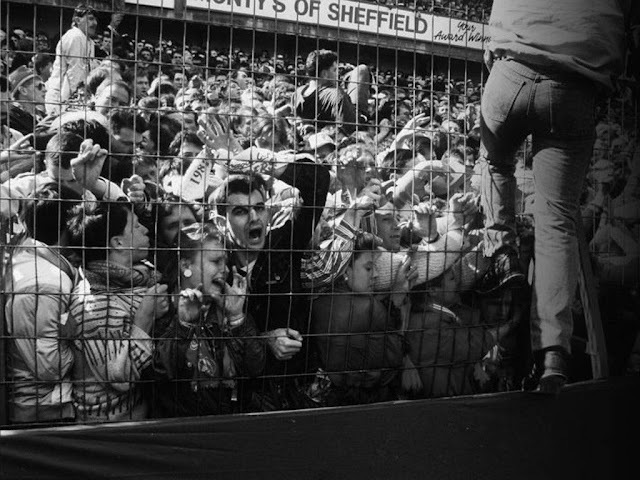 The 1989 Hillsborough disaster was an incident that occurred during the FA Cup semi-final match between Liverpool and Nottingham Forest football clubs on 15 April 1989 at the Hillsborough Stadium in Sheffield, England. The crush resulted in the deaths of 96 people and injuries to 766 others. The incident has since been blamed primarily on the police. The incident remains the worst stadium-related disaster in British history and one of the world's worst football disasters. Elizabeth Ann Eckford made history as a member of the Little Rock Nine, the nine African-American students who desegregated Little Rock Central High School in 1957. 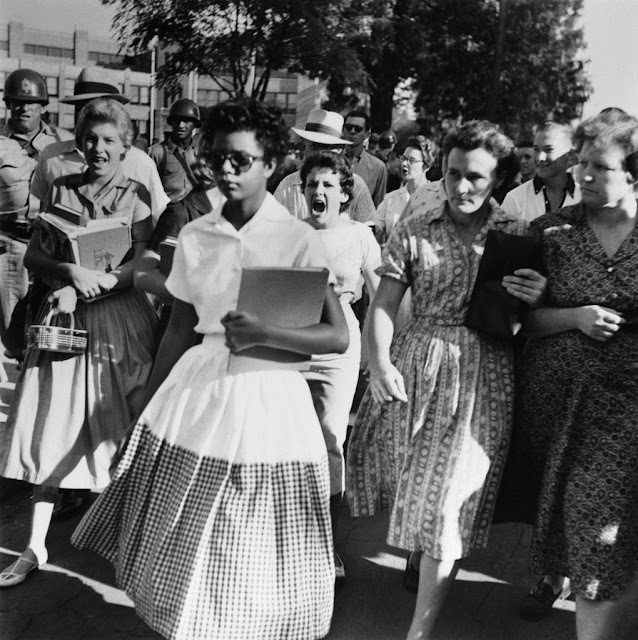 The image of fifteen-year-old Eckford, walking alone through a screaming mob in front of Central High School, propelled the crisis into the nation’s living rooms and brought international attention to Little Rock (Pulaski County). You can almost taste the baseless anger on the faces of the women chasing her. Sophia Loren and Jayne Mansfield at a 20th Century Fox party thrown in Sophia Loren’s honor April 12th, 1957. 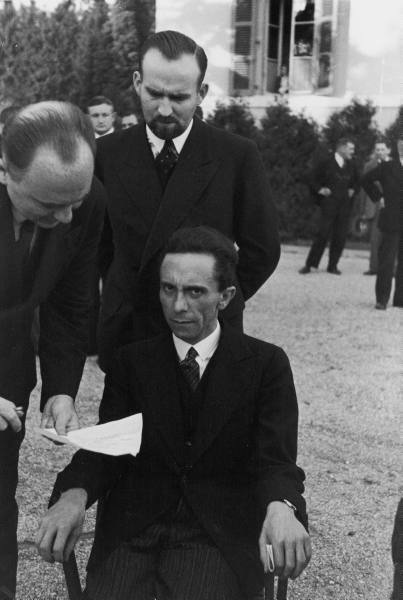 Joseph Goebbels. 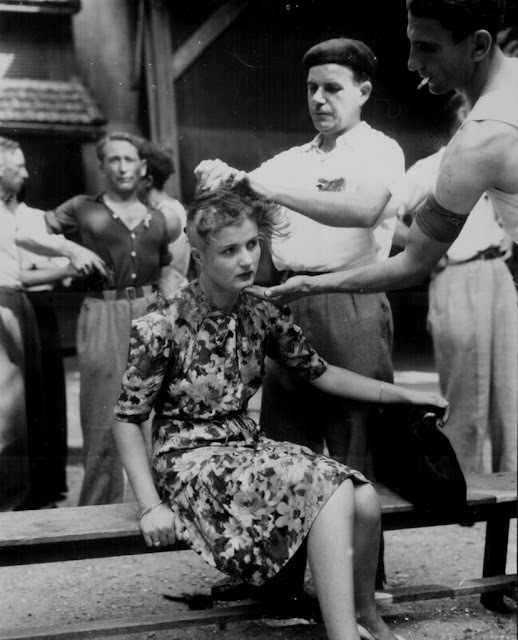 Goebbels smiled at him until he learned that Eisenstaedt was Jewish - a moment Eisenstaedt captured in this photo. Suddenly, "he looked at me with hateful eyes and waited for me to wither," the photographer recalled. 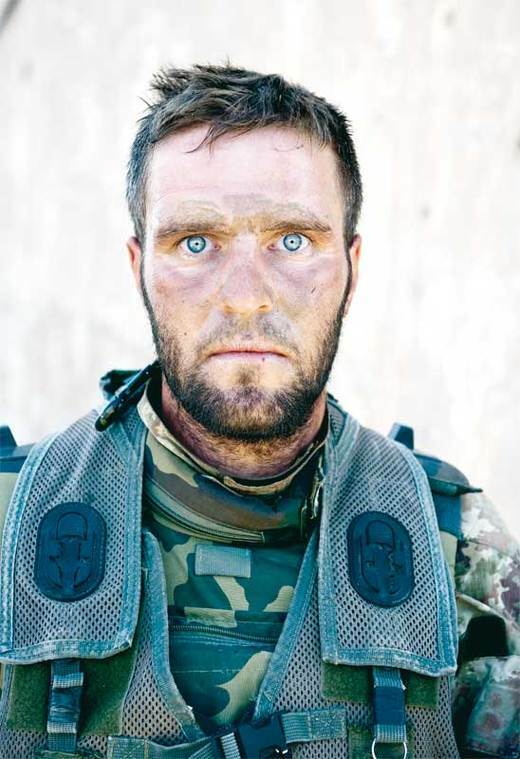 This is a photo of Corporal Antonio Metruccio, 27, of the Third Eagle Company, 66th Regiment aircraft Trieste, taken after a 72 hour long fire-fight. 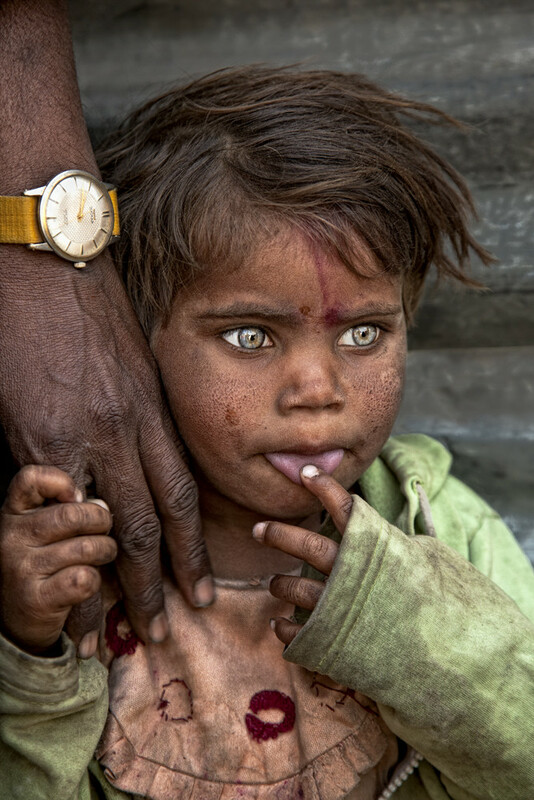 Taken by Suzi Moore McGregor in Delhi, India, provides a startling contrast between the people and the absolute poverty they live in. 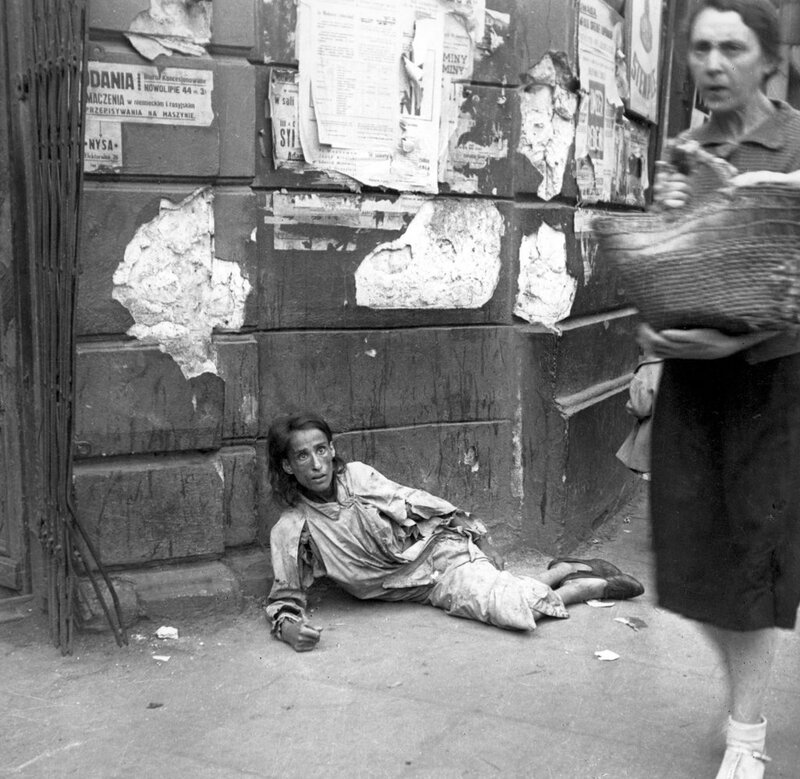 A woman lying on the pavement in the Warsaw ghetto, starving to death. Taken by a a German soldier called Heinz Joest, in Poland, 1941. 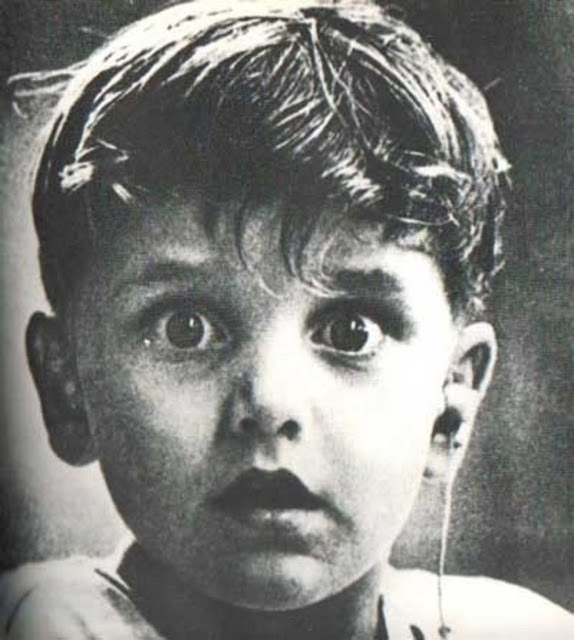 The exact moment Harold Whittles, born deaf, hears for the first time after being fitted with a hearing aid. 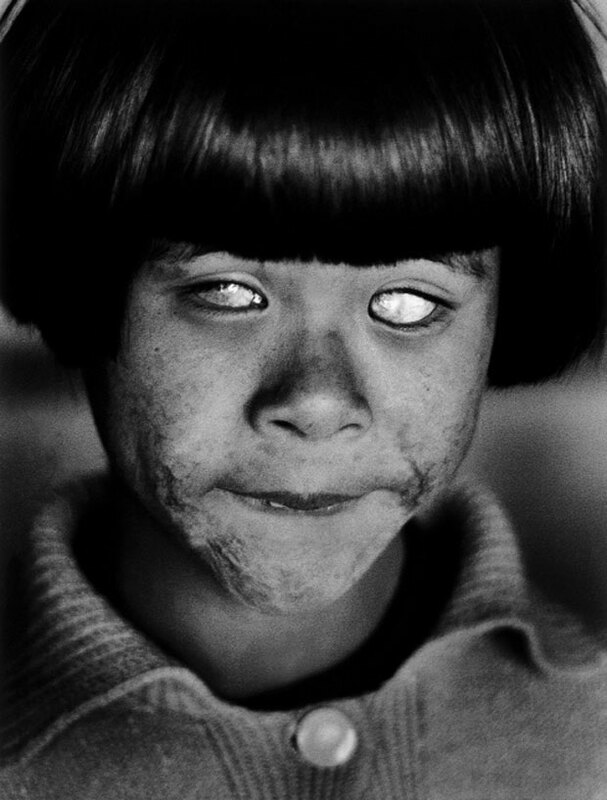 Brighter than a thousand suns: the eyes of a child that saw the Hiroshima nuclear blast. A French woman has her head shaved by civilians as a penalty for having consorted with German troops. 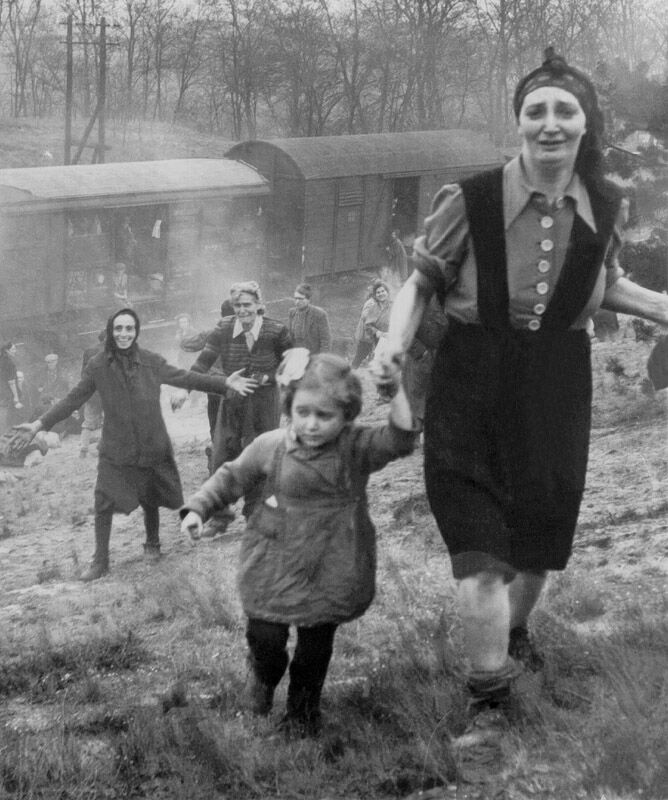 Taken just after WWII ended. French Resistance member Georges Blind smiling in front of a German execution squad. October 1944. 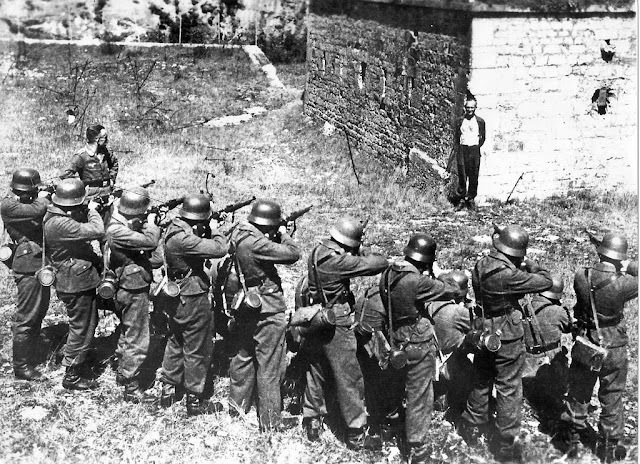 It was a mock execution intended to make him talk. Georges never did. 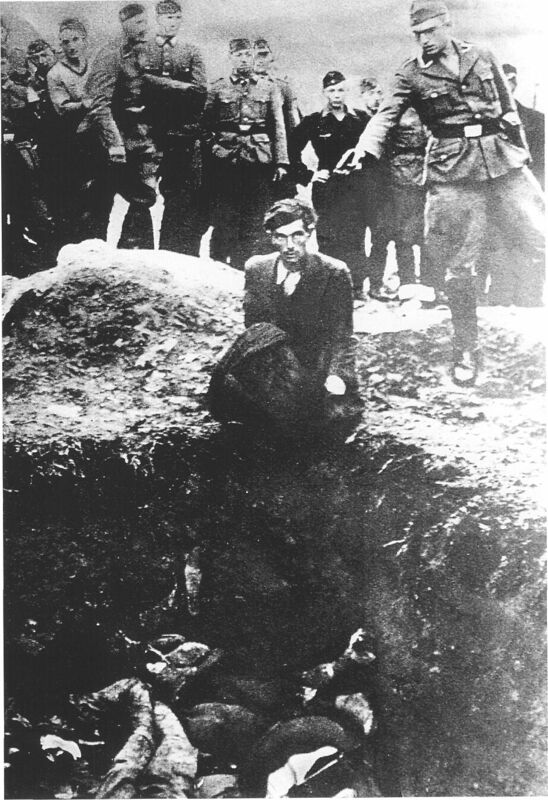 He was forwarded to a concentration camp, where he was selected for termination on arrival, dying some time in late November 1944. The album turned out quite morbid so added this at the end. 1 response to "Expressive eyes:A window to the soul?"